Indie Retro News: Scoopex slams into 2015 with Equality, a new Amiga release! Scoopex slams into 2015 with Equality, a new Amiga release! 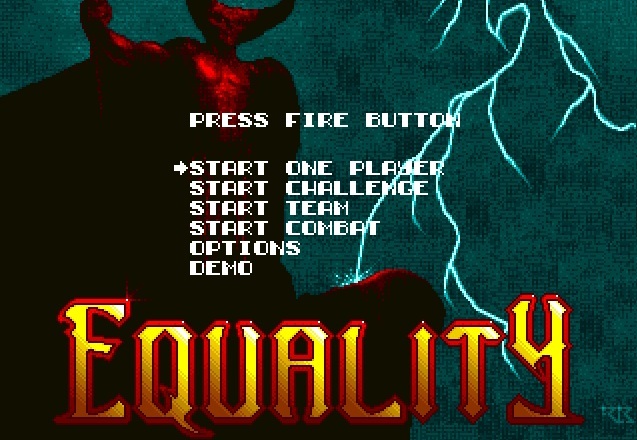 As if the brilliant Arkanoid style game of Tecnoball Z, released by Scoopex for the Amiga wasn't enough, they've just gone and released in the last hour another fine game called 'Equality'. Classed as an arcade puzzle game, originally developed by TLK Games, Equality although developed in 1991 was never finalized but did see a PC-DOS version that was redesigned and made simpler. Thankfully today Scoopex has released the fully functioning Amiga version, with a great cracktro! 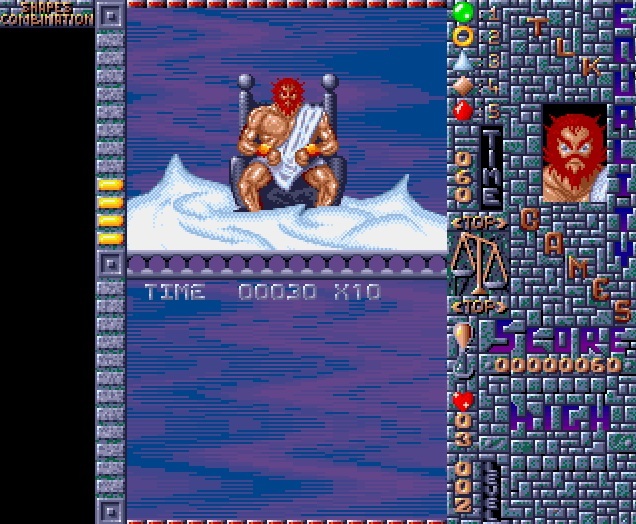 In this fine game, cracked to DOS and HD Installable by Galahad, your task is to drop the shapes on either side to create the puzzle picture in the shape combination in the top left hand corner. For most people it would probably come across as very confusing, it did me when I first played. But once you get the hang of it, Equality is a fun puzzle game that will keep you hooked for hours as you try to reach a high score. 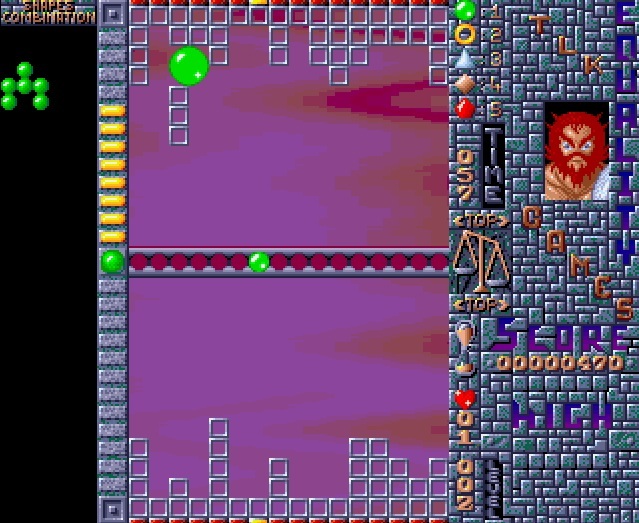 Be warned though, if playing in two player or increasing through the levels, blocks can be dropped on other side which will make your game time that much more difficult. All in all, Equality features great music, a great cracktro intro, challenging game play and puzzles that will really put your Amiga skills to the test!